Okay, so maybe you slept through a couple of 8 am classes and might secretly actually miss the cafeteria food now that you’re on your own…but you did it! You’ve graduated! Congratulations as you embark on this next chapter of your life. Instead of worrying about what textbooks you need for next semester and school supplies shopping, you now are thinking about bigger things. Where are you going to live? Where are you going to work? What are you going to drive? The last one we can help you with. The Volkswagen College Graduate Program in Omaha, NE was designed with the “broke college kid” in mind. We realize that you have school loans pay back, but a reliable means of transportation is crucial, and that’s why this program was designed to help! When you choose to lease through the Volkswagen Graduate Program, you won’t have to worry about a security deposit. We also guarantee competitive rates so that you get the best possible deal. Leasing is a fantastic option for drivers who don’t know what the future holds and would prefer to only hold on to a new vehicle for two or three years. Whether you choose to buy or lease, Volkswagen will pay you a $500 Contract Bonus. This includes brand new VW models as well as our pre-owned inventory. Our full inventories can be viewed online, and when you do find something that you like, we invite you to stop by for a test drive and determine if this is the right vehicle for you. 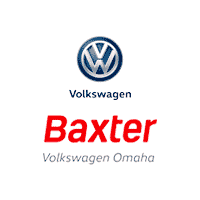 Through the Volkswagen College Graduate Program, the Baxter Volkswagen team can help you figure out a financing plan that works best with your budget and lifestyle. We would be happy to further explain the benefits of financing or leasing and help you determine which choice makes the most sense for you right now. Our goal is for you to save big and drive away happy! And when it comes time to visit us here at Baxter Volkswagen and pick out your new vehicle, the only things that you will need to bring with you are the following, and then you’ll be on your way!